The ESPI peripheral and card provide a general purpose SPI interface for your robot or other automation. Reads and writes to the SPI bus are organized as packets that can have up to 14 bytes. Resources for the ESPI peripheral let you set the clock frequency and the polarity of the chip select. config : the clock rate and chip select mode as as two strings separated by space and terminated by a new line. data : the data to send to the SPI device as up to 14 hex values separated by spaces and terminated by a newline. 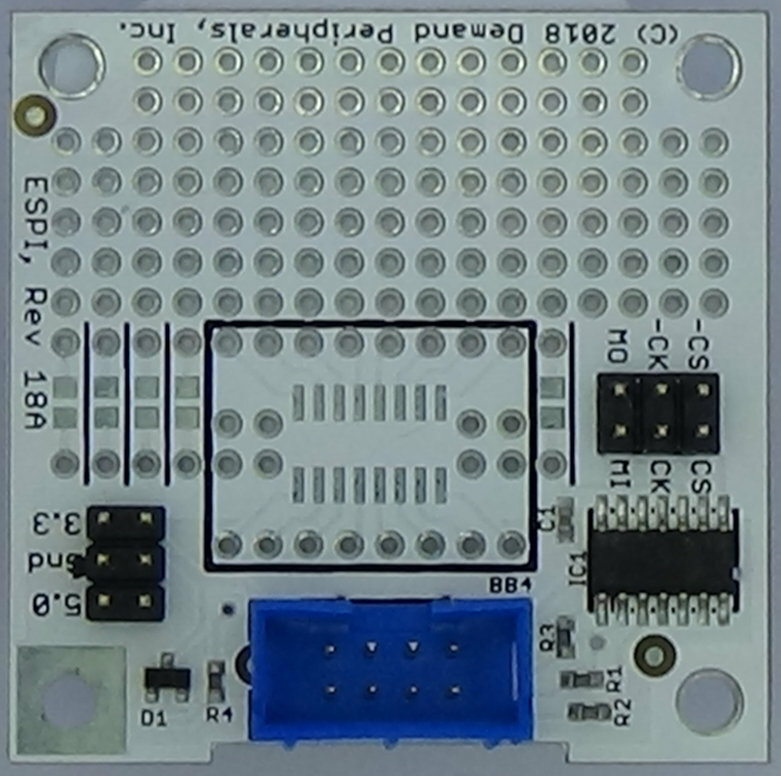 The dpget command provides both read and write functionality for the ESPI peripheral. Additional bytes on the dpget command line are sent to the SPI device and each byte sent gives another hex value in the response.